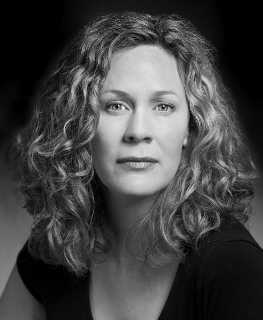 Christy Summerhays (Director) began her directing career in opera at the Intimate Opera Company where she directed many productions including LA BOHEME, RIGOLETTO and Leonard Bernstein's TROUBLE IN TAHITI. Christy received her training at the American Academy of Dramatic Arts in New York City and although she has worked primarily as an actor, she has been returning to directing more and more. Her latest project was Stravinsky's A SOLDIER'S TALE with Plan-B Theatre Company and NOVA Chamber Music Series. This year she also worked with Michael McLean on his new musical THREADS and with Plan-B, directing for SLAM and the reading of Eric Samuelsen's MIASMA at THE ROSE EXPOSED. Christy first directed PETER AND THE WOLF for Plan-B and the Gina Bauchauer International Piano Foundation (which began at THE ROSE EXPOSED and then toured to 30 elementary schools) and is happy to be remounting the production with the Salt Lake Symphony!